We started to blend and separately bottle the Chardonnay (65%) and the Auxerrois (35%) from the Clos Windsbuhl vineyard in 2004 when we believed the vines to be old enough to produce a certain quality (15 years old). Unfortunately (or funnily) the presence of the Chardonnay is the reason why we are obliged to declassify this wine to the Vin de Table category, despite the fact that this vineyard is one of our top sites. In 2012, the grapes harvested were very healthy with a nice acidity. 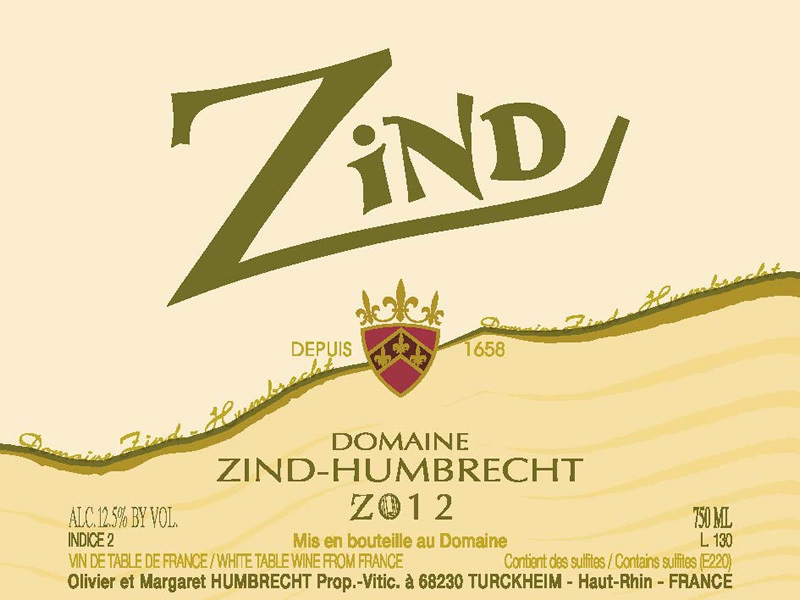 Due to a structural problem, cask 51 (105hl) needed to be replaced with a new cask and the Zind 2012 was the obvious choice for the first wine in this cask. Being the first wine, the cask did not contain any yeasts from previous vintages and explains perhaps partly why the 2012 kept a little more residual sweetness than expected. 1/2014: the new foudre (large old oval oak cask) influence is negligible and only a very sharp taster would be able to detect its presence. The light toasty aromas combine with herbal and white fruit, light smokiness and chalk on the nose. The palate is very elegant and shows little of the sweetness. I did rate this wine indice 1 for a long time before I saw the analysis! Long finish that feels dry but so easy to drink, already today.